Sixers star Joel Embiid was listed as questionable last night for Phliadelphia’s showdown in Indianapolis against the Pacers. 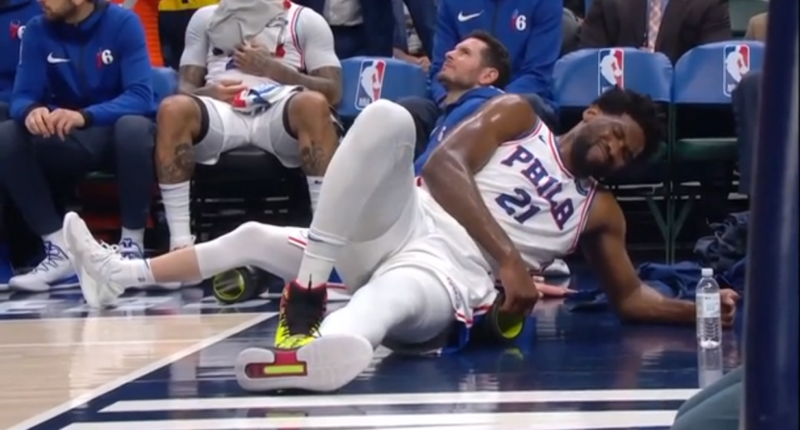 After six minutes and three missed field goals, Embiid exited the game, and it looked like he didn’t have much chance of being effective thanks to his ailing back. Of course, he’d end up returning, making 9-16 from the floor the rest of the way, putting up 22 points, 13 rebounds, 8 assists, and 3 blocks in 35 minutes as the Sixers housed Indiana 120-96 to pull into third in the East. TNT analyst Charles Barkley, though, spent halftime railing against Philadelphia’s decision to play Embiid. Hear from Joel Embiid after his near triple-double & Sixers win! Embiid played well, yes, but he still played hurt, and if it in any way contributes to a longer absence going forward, it’s hard to see how one game in January would be worth that for the Sixers. Hopefully it ends up a moot point, but it’s one very few studio analysts would be willing or able to make in a similar situation.